I was so disappointed last month when I did not get one of these lipsticks in my Birchbox, so I ended up purchasing them with Birchbox Points! What did I think? I love that they are super small to easily stash in my purse. The formula is super moisturizing and the color payoff is not as BRIGHT as you would think by looking at them. The lighter of the two is a soft fuchsia pink, the darker is a bit more purple but still a bright pink. 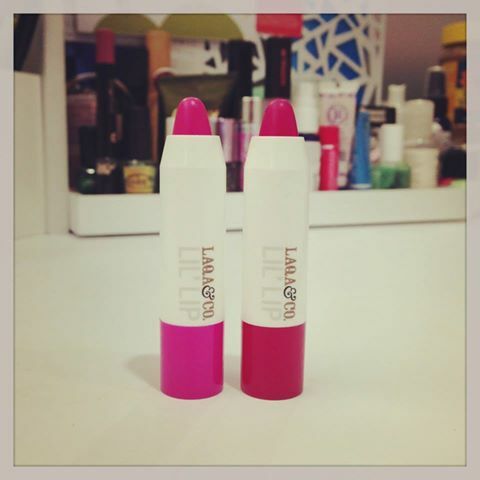 The colors don’t overwhelm and the formula makes them a perfect summer edition to your rotating arsenal of lipsticks.